Exit Follonica Nord, go on towards Follonica for around 5 km, turn to the right and go straight under the underpass. Turn right at the first road than left and right again. Straight on until you find the pinewood and turn to the right. 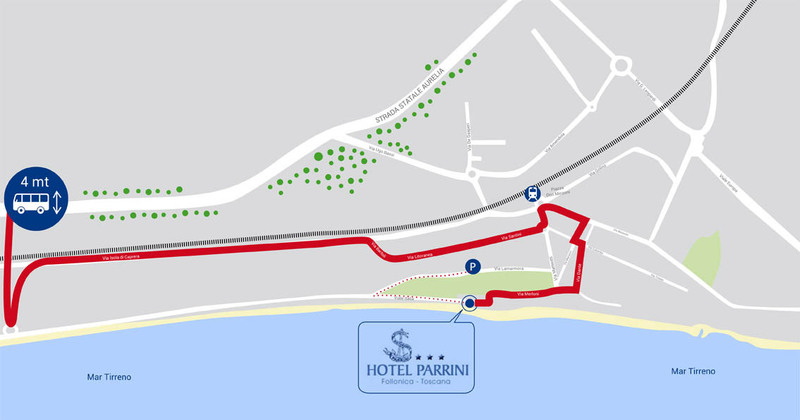 The Hotel Parrini is to be found at 300 m on the left hand side. Go on towards Follonica for around 2 km. At the cross continue straight to (centro). You will pass an underpass and follow the indications for the train station. You find a crossing light and turn to right. In the station square turn to right and than left and right again. Straight on until you find the pinewood and than turn to the right. 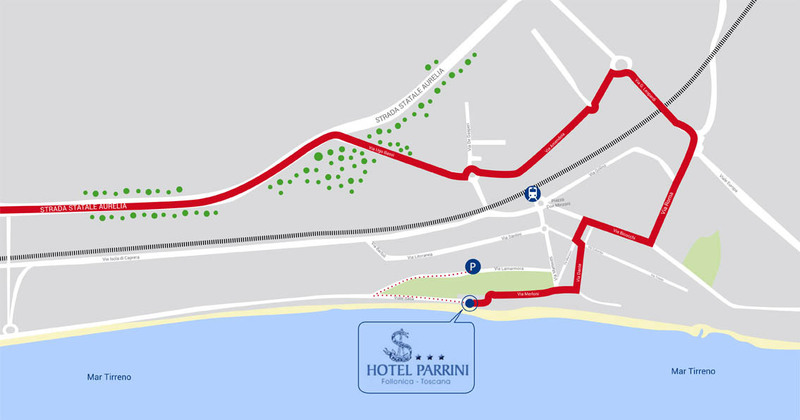 The Hotel Parrini is found to 300 m on the left.